A Spectrum Aeromed aircraft-dedicated medical module. Cardio-monitor –a clinical defibrillator with stimulation and SpO2, NIBP, IBP and CO2 – ZOLL X Series measurements. 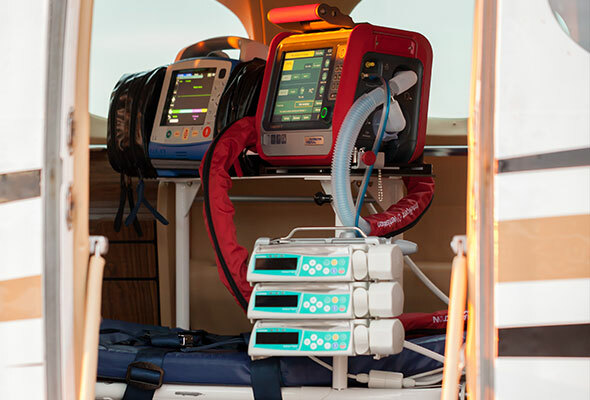 A HAMILTON – T1 transportation life-support machine, providing all types of ventilation, in conformity with all necessary standards, such as RTCA/DO-160G for aircraft transportation.